Buying your first stock is exciting. But before you hit “buy”, here’s what you should consider first. Buying our first stock can be both an exciting and scary experience. However, it is important that we do not let our emotions, positive or negative, get in the way of making a good investment decision. Before we even start investing in our first stock, here are five important things all new investors should bear in mind to avoid making needless mistakes. While starting our investment journey is vital, we cannot afford to ignore our broad financial plans which include our insurance needs and building up our emergency savings. Arguably, these are areas which are even more important to our financial well-being than starting to invest. We will invest very differently if we were still in university, compared to if we have been working for a few years or were nearing retirement. By the same token, we will make very different investment decisions if we were planning an upcoming wedding, to have more children or even just a yearly long-haul holiday. Depending on the stage of life we are in or our current needs and future aspirations, our ability to take risks or need for liquid cash may be vastly different. Having a trusted financial planner we can speak to and get our bases covered provides the foundation we need to start investing and growing our wealth for the long-term. To begin investing in stocks, we need a stock brokerage account. Choosing a suitable stock broker can go a long way towards making our investment journey a smooth and fruitful one. There are already many things that can go wrong when it comes to investing in stocks, and the brokerage platform you choose should solve some of these problems rather than add to your worries. The main differences between brokerage platforms are typically commission charges, overseas markets coverage, access to analyst reports, customer services and our familiarity with the platform functions. You can read this step-by-step guide to opening a stock brokerage account to better understand the process. Another way to buy or sell stocks is via a trading account. When we choose to trade, we are typically hoping for short-term gains from price fluctuations rather than looking to hold it for long term growth. For majority of investors, trading usually comes after starting to invest or gaining more investing knowledge. Investing in one stock is not the end of our investment journey. We need to think about creating a strong and diversified investment portfolio that enables us to build our wealth over the long term, without losing sleep at night. This means not putting all our eggs into one basket – i.e. investing in just one stock or one type of investment – and hoping for the best. We should consider investing in multiple companies across diverse industries in Singapore and the region. The Singapore Exchange (SGX) has more than 700 stocks in numerous industries that we can invest in. Regionally, we can consider familiar growth themes including ASEAN, China, India or even global markets. At the same time, dividing our money across different asset classes – stocks, bonds, gold and even alternative investments such as cryptocurrencies or peer-to-peer lending – is important giving us exposure to riskier products while maintaining a low overall portfolio risk. # 4 Should I Invest In ETFs Or Individual Companies? When deciding to invest in our first stock, many of us may not know that we can actually invest in some of the strongest and most liquid companies with a single investment: buying an exchange traded fund (ETF). 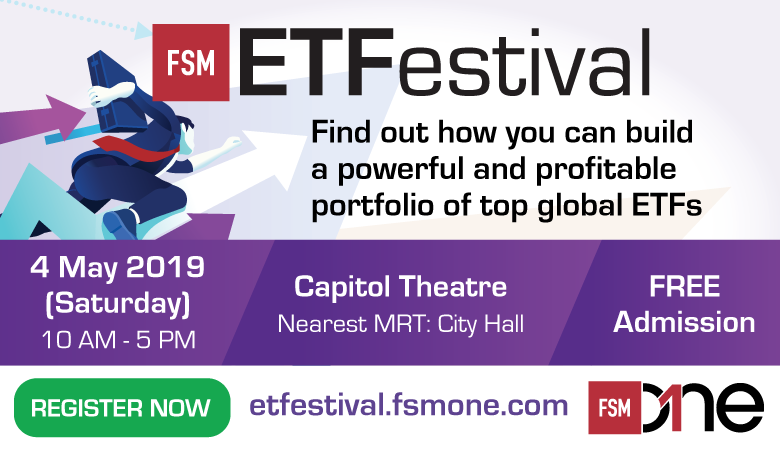 ETFs are listed funds that track an index, usually comprising multiple blue-chip stocks within a country, region, sector or even within asset classes. In a nutshell, ETFs pool investors’ funds to make large investments for the benefit of all investors. On the other hand, if we choose to invest in individual companies, we need to understand that there are real people managing real businesses behind every stock. We also need to be able to evaluate individual stock investments. We can only decide whether investing in ETFs or individual stocks is better based on our individual knowledge and interest in wanting to learn more about the stock markets. When it comes to evaluating the investment worthiness of a stock, there can be very diverse and complex views. Even experts don’t get it right all the time, with many professionally managed funds failing to beat market returns on a regular basis. The stock market is similar to an auction with many participants bidding to buy and sell stocks at different prices. Anyone who evaluates a stock to be worth more than the current price can put in a higher bid to purchase the stock and anyone who evaluates a stock to be worth less than the current price can choose to sell the stock at a lower price. Ultimately, the price of a stock represents the highest amount buyers are willing to pay and the lowest amount sellers are willing to sell. To help us in putting in the right “bid” for a stock, we can use financial ratios such as price-to-earnings (PE) ratio and price-to-book (PB) ratio to give us an understanding of how cheap or expensive a stock is. A stock with a high PE or PB ratio equates to one that we are paying a higher price per dollar of earnings or assets respectively. We could also look into a company’s market capitalisation to appreciate how large a company is, which usually translates into how strong its business is and how liquid its shares are. Many investors are also drawn to stocks that pay out high dividends. We can look at the dividend yield or dividend growth of a company to estimate how much passive income we can receive each year. Of course, just looking at these methods of evaluation alone aren’t enough, but we should not bog ourselves down with too much information, especially if we have yet to even make our first investment. If you are interested to start investing or just want to learn more, you can head down to ShareInvestor’s annual flagship event INVEST Fair 2018 on 25 and 26 August 2018 from 10am to 7pm at Suntec City Convention Centre (Hall 405 and 406). At the event, you can visit a variety of booths to learn about and begin to fill certain financial gaps in your life. If you just don’t know where to start, there is a financial clinic to help you start building a financial plan for your future as well as a Fintech Zone to get you more familiar with the ever-changing landscape in the financial space. For stock investors, the SGX Pavilion and the ASEAN Pavilion are obvious choices to learn more about stocks in Singapore and the region. Savvier investors or those who prefer higher risk investments may choose to check out the Trading Zone or the Crypto Zone. Don’t forget that using the promo code “DOLLARSANDSENSE” when you register will triple your chances at the lucky draw. See you there!